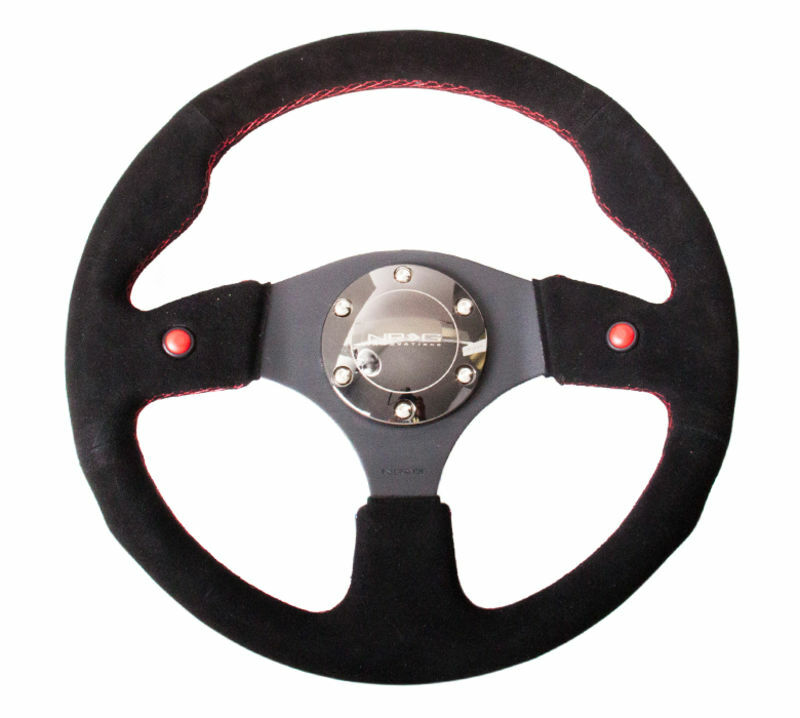 Any tips, suggestions, etc on steering wheels? This is going in a Spec Boxster build. Round, anatomic, flat bottom, diameter? I know some of this depends on personal preference but if anyone has tried something whether positive or negative, I would like to hear it. Okay, I'll ask a different question, what type of Momo wheel do you have in your car? Do you like it and why? Is there anything you don't like about it? I use a Momo Mod 07. I wanted a suede wheel for grip, and the dish is perfect to put the wheel where I want it. I have no idea what model this is - but it's the perfect dish and diameter and I do like the flat bottom. I don't have, but I wish I had, a wheel with an open top, so I could see the oil temp. gauge. Mod 07 is a round wheel, no anatomic protrusions on the rim, and about twice the dish as rastta's which looks like a Mod 88. Its pretty flat. Yes, I should have sat in some cars at Oktoberfast earlier this month but I didn't. I've never even sat in a 986 before. I have a 981. I am 6'1", maybe a little dish will be good? I wasn't sure about the flat bottom, especially with a detachable wheel. It seem that when you are turning it that extra room goes away and doesn't really help your hands clear you legs or anything. Last edited by FirePowered; 11-22-2016 at 06:14 PM. Originally the builder asked me to look at the different Momo wheels and decide on one but he put a Racetech wheel in. Its round and looks good, I'll know more about flat bottom, dish, diameter,etc. after I actually get to drive it I suppose. Well depending on what you want to spend. NRG just came out with a new suede race wheel that is pretty cost effective. 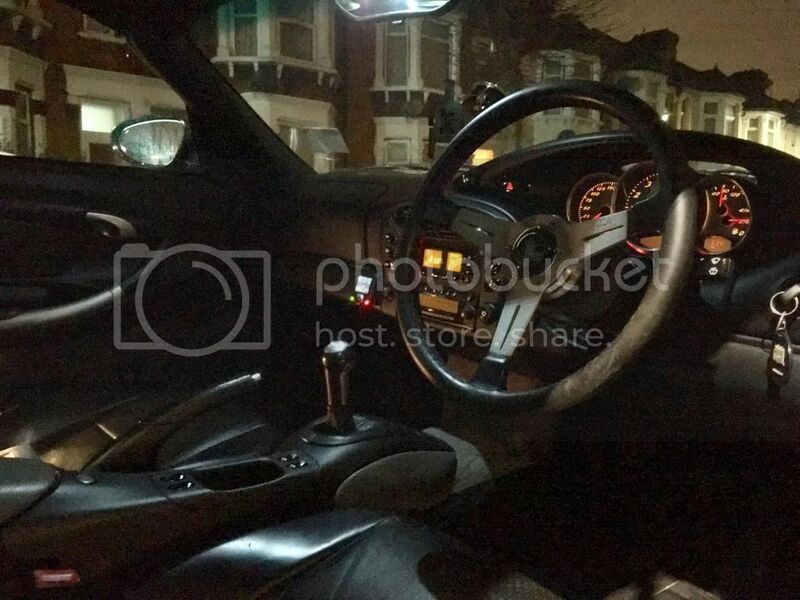 It is not quite as big as some of the other out there at only 320mm, but I like the fact that there are dual buttons on it as well, so that you can toggle your radio if you want from the wheel. Let me know if you want some more information on it, as I am a dealer for them. I do have one of these in another spec car, and the gentleman who is using it says he really likes the feel and size. I realize that is kind of personal preference though. $130.00 plus shipping is pretty much the least expensive wheel that is of any real quality I have found out there.